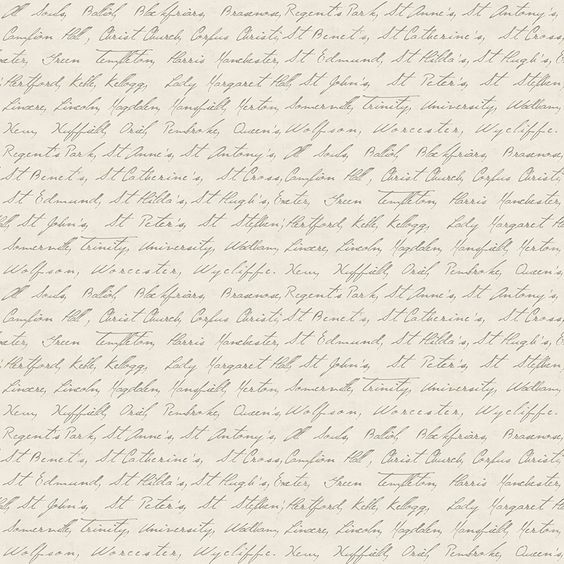 With the upcoming launch of the new Harry Potter and the Cursed Child script and a very excited 8 year old son, I was delighted when my new Oxford University Wallpaper book from the Paper Partnership arrived at the studio. 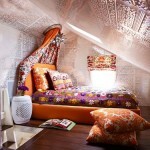 This would definitely have looked perfect in Hogwarts school of witch craft and wizardry. This is a stunning collection of wallpaper by the Paper Partnership, a luxurious wallpaper company who have created this Archives collection of wallpaper designs in collaboration with the University of Oxford. 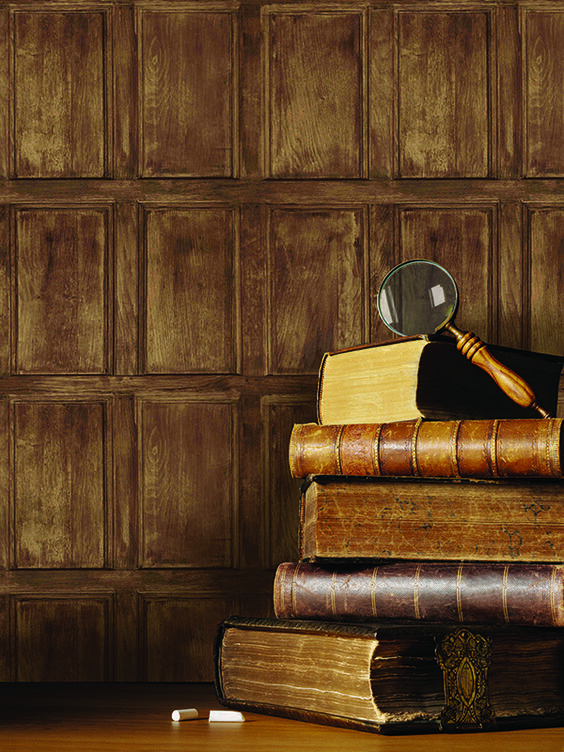 The beautiful oak panelled wallpaper with its aged grain complements the library setting perfectly. 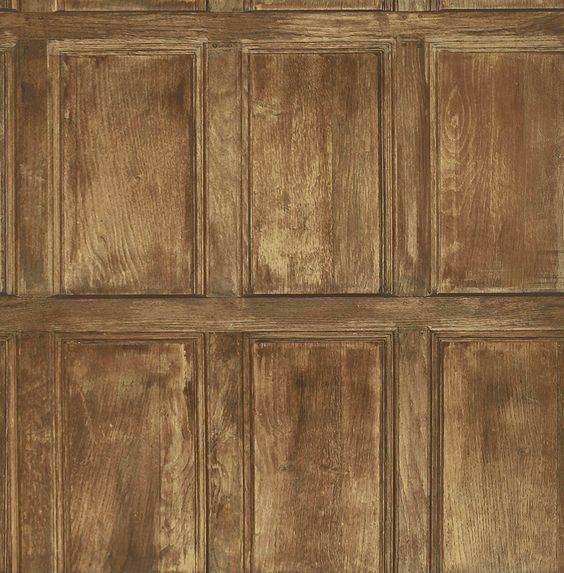 This panelling would look right at home in the Gryffindor Common Room. The Oak Panelling wallpaper is available in 3 colourways and would make a stunning addition in any home. The beautiful book wallpaper is available in 3 colourways and depicts the colleges antiquarian book collection from the Trinity’s Old or Fellows library. 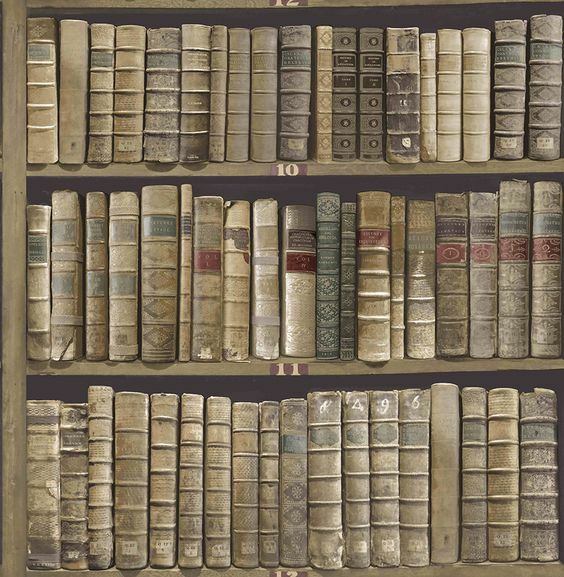 The wallpaper showcases the fabulous book spines and bindings and would make a fantastic addition to any home library or office. My son also assures me that these would look perfect in the restricted section of the Hogwarts library. Oxford is the oldest University in the English-speaking world, with over eight centuries of history and tradition, and a global reputation for academic excellence. 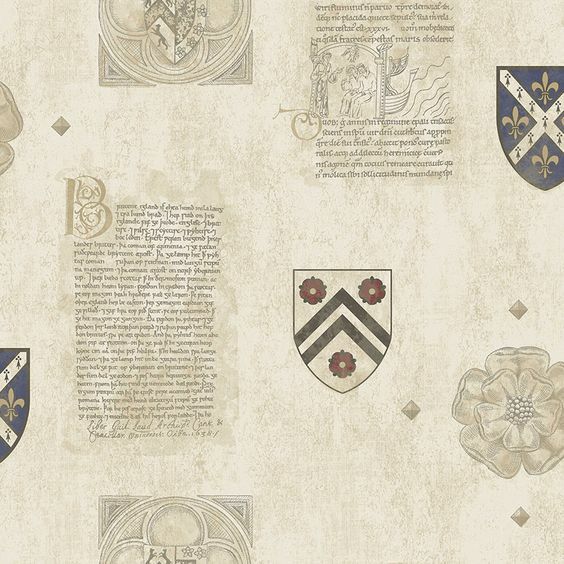 The calligraphy wallpaper is a record of the thirty eight seperate colleges and six permanent private halls of the university. 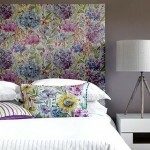 This wallpaper would look great in any child’s bedroom where they could dream of being spell bound. 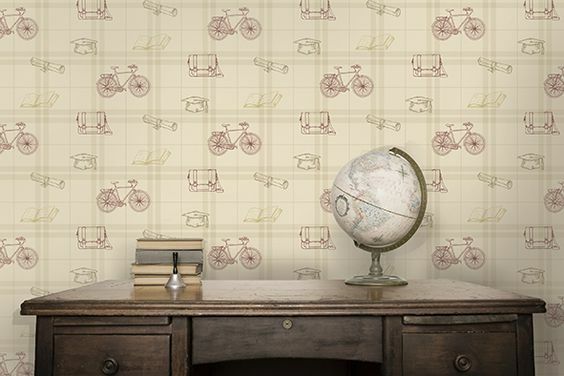 A wealth of motifs and archives resource features, including college coats of arms, stripes and old photographs have enabled the Paper Partnership to create unique wallpaper designs with an authentic provenance. 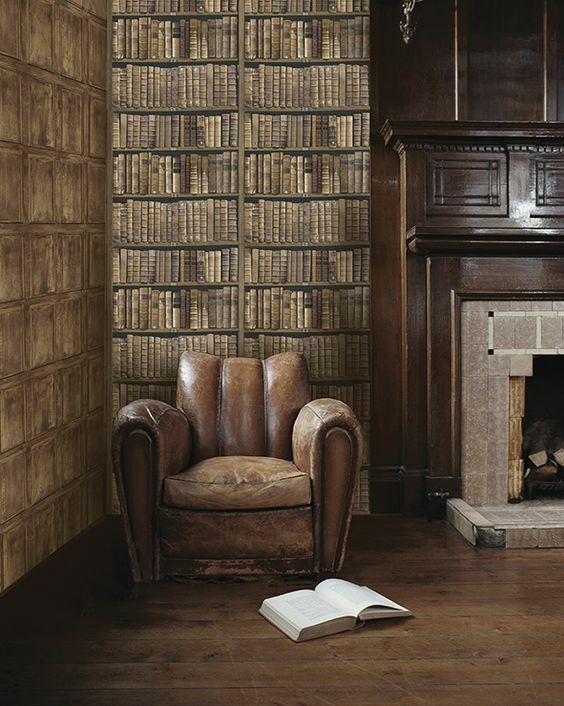 For Harry Potter Fans the scholar wallpaper shown here in two different colorways would make a great addition to any bedroom whether your a gryffindor, slytherin, hufflepuff or ravenclaw. 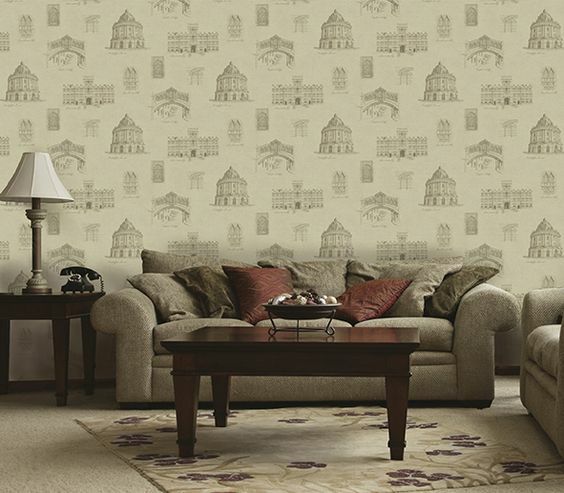 For the older man in your life who has a love for architecture then this wallpaper depicting hand-drawn illustrations of some of Oxfords finest architecture would be the perfect choice. 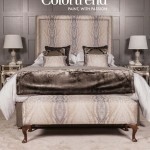 Oxford is also renowned for its academic excellence and sporting heritage. 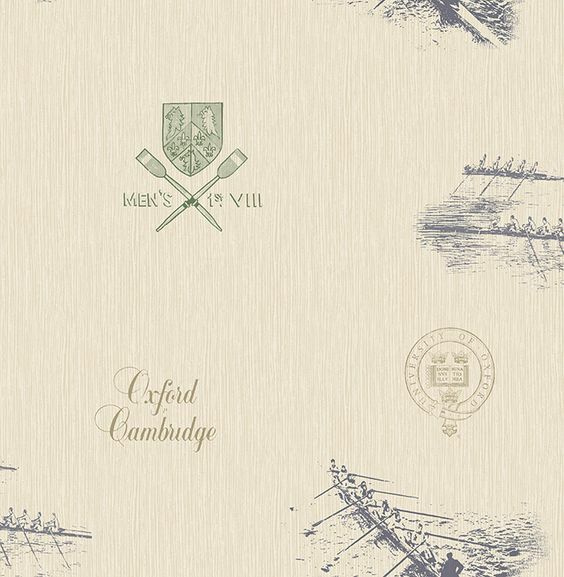 The Oxbridge, Full Blue and the Varsity Wallpaper portray this heritage beautifully. My son Jamie also reckons that Ron and Harry should have used one of these bicycles instead of the flying car used in the Harry Potter movies. 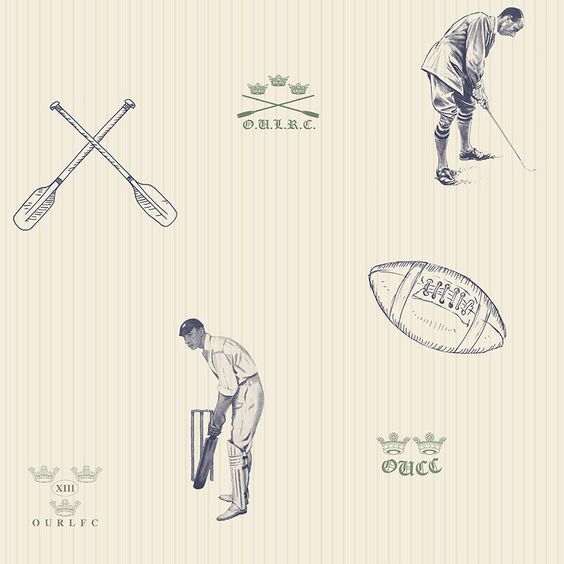 These stunning sporting wallpapers would look fantastic in any young mans bedroom paired with one of our bespoke upholstered leather headboards. 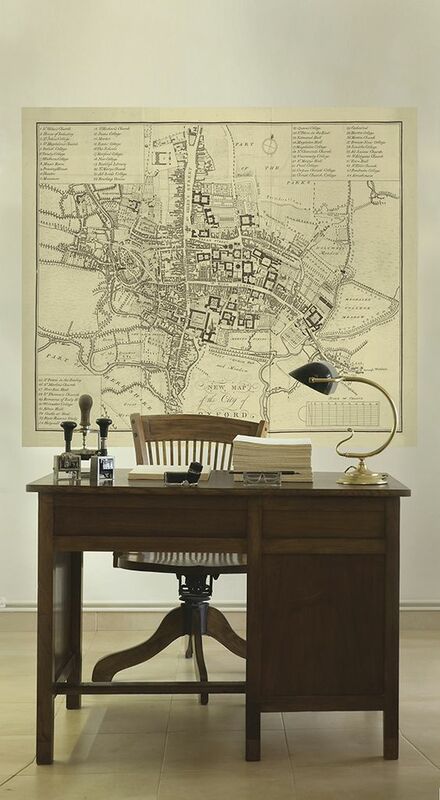 Lastly the collection also includes a spectacular map wall panel derived from a map found in the archives of the Bodleian Library dating back to the mid-18th century. It is a plan of the University and City of Oxford surveyed by Isaac Taylor, engraved by George Anderton and published by William Jackson in 1751.